One of the problems we have encountered with our previous exhibition layouts has been communication between fiddle yards, drivers and whoever is actually controlling the layout as a whole (ie dictating when trains should appear on the layout and so on). Part of the problem was resolved many years ago with the installation of full running signals and ground signals on Pulborough, and subsequently on Brighton Road, such that drivers must only drive when the signals allow them to do so. This has been taken a stage further with Plumpton Green with the interlocked lever frame, which should prevent any accidental conflicting moves. The obvious answer seems to be to move a bit closer to the real thing, with the employment of block bells and instruments for communication. Setting aside, for a moment, the problem that loud bells can be quite irritating to nearby layouts at an exhibition, I made some bells for Plumpton, and having demonstrated the benefits at the Epsom and Ewell show, have also completed two pairs of block instruments, mimics of Tyer’s two position instruments. These early instruments show only ‘line clear’ or ‘line blocked’, whilst later instruments have a third indication of ‘train on line’. Inevitably building things like block bells rather depends on what bits you have available, and what bits can be obtained, so my notes below are not really intended as details of exactly what to build, but just a few pointers to some things to think about. The first photo shows two of the four bell boxes (one pair for the Plumpton signal box to Keymer Junction fiddle yard and one pair for the Plumpton to Lewes end). 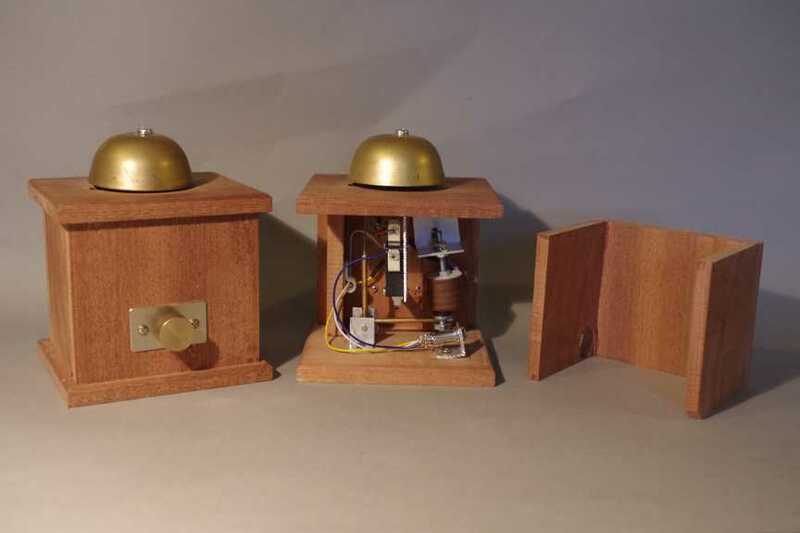 Each has a plunger which operates the bell in the box it is paired with. One of the boxes shows the front, with the plunger, whilst the other shows the back view, with the box opened up. The boxes are about 100mm cube, and are in two parts. The base, one side and top form one part, and all the components are attached to this, so that the bell can be set up and adjusted easily. 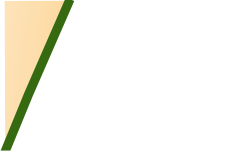 The other part consists of the other three sides, and simply slots in place to form a complete box.